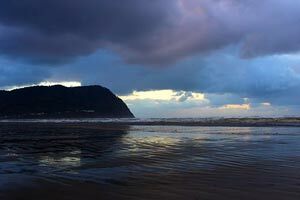 (Seaside, Oregon) – Six generations of tourists can’t be wrong. With its beautiful promenade (built in the 20s), a long stretch of wind-sheltered beach, its charming streets, its family/carnival atmosphere and a lengthy history of being one heck of a party town for the over 21 set, Seaside has something for just about anyone. Portlanders have vacationed here for more than six generations, creating a history that is rich and colorful for over 100 years. The promenade – more than a mile long - is proof of this, as are the visits to this area by explorers Lewis and Clark. Well, sort of, anyway. There is a monument to the pair sitting in the middle of the picturesque and famed turnaround. Seaside often gets maligned for its commercial vibe. And while the crazed, frenetic atmosphere of the downtown area isn’t for everyone, there is much more to Seaside than that. This is something that’s always overlooked by travel writers. There are hidden chunks of nature to explore, an upscale neighborhood with a gourmet slant, and history to get lost in – all away from the hustle and bustle of the more family-oriented Broadway area. A recent shift towards more affluent residents - part time and full time - is changing many areas of Seaside, most notably the Gilbert District. 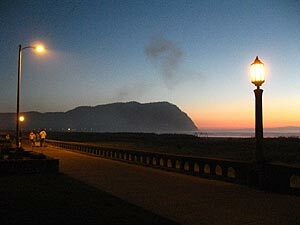 And if that still doesn't appeal to you, stick to the colorful but quiet, upscale vibe of Gearhart, a couple miles away. The town has all the amenities you could ask for: scrumptious, sometimes innovative cuisine, major grocery stores, a liquor store, a large movie theater complex and an outlet mall filled to the brim with 60 stores. Seaside is notorious for kicking into high gear around Spring Break, so be prepared for massive crowds of collegiates, high schoolers and their families. Summer, too, brings at least as many young folks as it does families, giving the town an interesting dose of youthful madness. 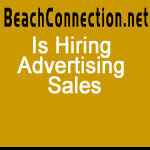 In August, as everyone heads to the beach for a last minute vacation, even weekdays acquire a buzzing, crowded state, and late at night, the beach is often dotted with bonfires surrounded by younger folks until dawn. While some will find this energy slightly refreshing compared to other coastal towns, the youthful element in Seaside seems to have taken its toll on the town, and the conservative nature of many small towns like this is sometimes accentuated by the occasional problems created by crazed late-teens and early twentysomethings. When looking for lodging, you may find some motels and hotels with policies which won't allow renting to folks under the age of 25 years old. For those over 21, the town’s kooky bar scene provides amusement on a variety of levels. The other tourists and some of the locals are true, oddball characters, with the out-of-towners often getting a bit looser than they normally would at home. Both categories provide lots of inadvertent humor. The locals - colorful or otherwise - are simply exceptionally cool people. 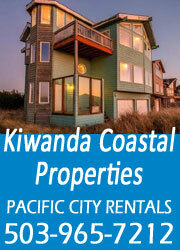 This tour actually begins just south of Warrenton, in the area surrounding Gearhart. 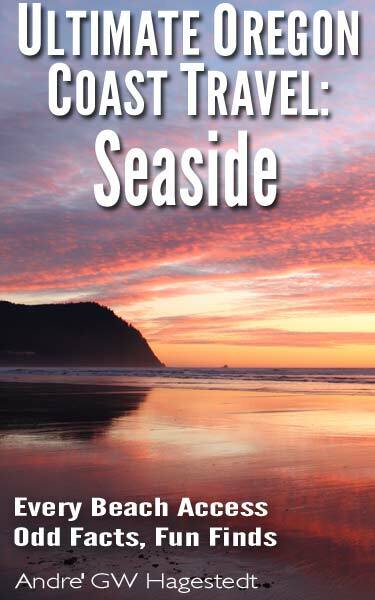 Not only does the book contain a listing and detailed look at every single beach access in the areas of Gearhart through Seaside, but a host of fun historical facts, oddities, weird science and travel tips that no one talks about. What can you find on one Seaside beach you can't find anywhere else? Discover historical surprises like the doomed structures here 100 years ago, Seaside's part in influencing rock history, the odd story how the town got its name, and some structures you can find now that tie into the town's curious past, indeed the formation of the early United States. 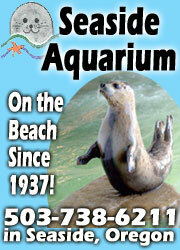 See the remarkable and strange story about how and why beaches and dunes in the area have changed. And what happened to one section of beach that abruptly changed it? Plus, wild facts and curiosities like glowing sand, singing sand, where to find agates - and more unique travel tips to the area than you'd ever imagined. 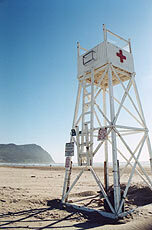 Also available now: Ultimate Oregon Coast Travel: Cannon Beach.